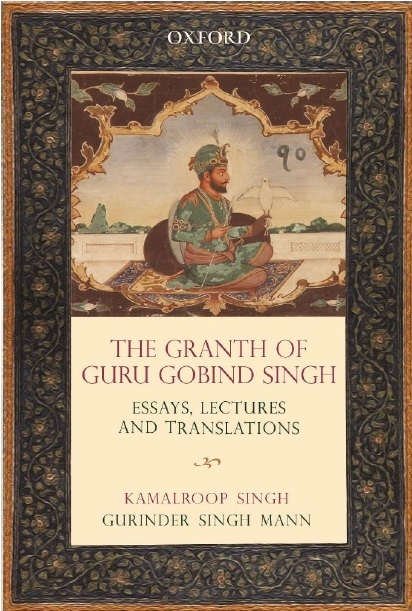 SikhNugget presents a round up of 544th Birth Celebrations of Guru Nanak, the first Guru of Sikhism. 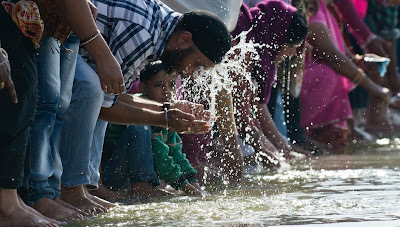 a procession at Harimandir Sahib. 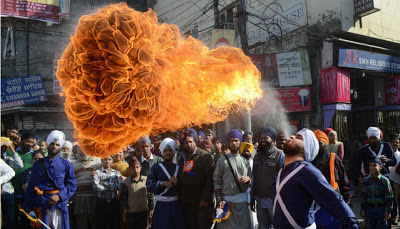 A youth displays his martial art skills during a procession held in Amritsar. 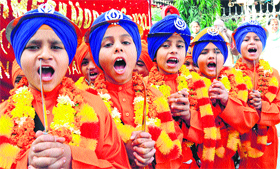 Sikh boys dressed as ‘Panj Piaras’ raise slogans during a procession at Harimandir Sahib. 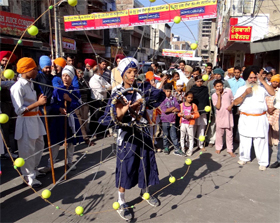 Devotees start arriving at Nankana Sahib for the celebrations of Guru Nanak birth anniversary. 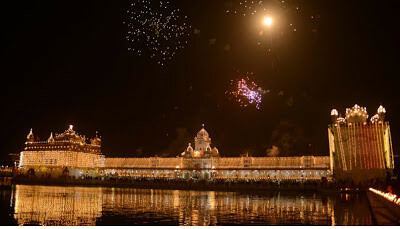 Harimandir Sahib illuminated and a display of fireworks. Devotees wash their faces in the sarovar, at the Bangla Sahib Gurudwara in New Delhi. A Sikh performs a fire-breathing act at a demonstration of Gatka skills in Amritsar.